As much as we all like to think of ourselves as creative wizards, if we only look inward for garden-fresh ideas, breakthrough thoughts and creative spark, sooner or later we’ll run out of juice. Worse still, we often don’t recognize this when it’s happening. Suitable for groups of all sizes, experience levels, and disciplines, The Idea Trip is part art, photography and food tour that uses a city as your muse. It's intended to nudge-slash-jolt you out of your groove and open your eyes to a wider creative world. How do we know The Idea Trip works? Because we’ve done them before for companies like Microsoft, American Express and Ford – and ourselves. Whether you’re in a creative rut or totally on fire, The Idea Trip is an ideal way to recharge, reload and refresh your creative spirit – and rediscover your sense of wonder along the way. Inspired a major sports brand to produce an exciting new color palette for its sports shoe line. Helped create the brand positioning for a new credit card launch. Reinvigorated a corporate team that was facing serious morale challenges. Used The Idea Trip to feature Trends Data for top reporters and influencers. 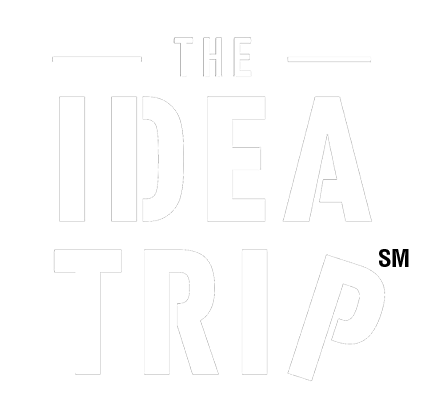 The Idea Trip is customized to help brands and teams solve specific issues. We offer one-day and two-day packages. Pricing is dependent on number of participants. Conduct creative exercises to engage team in idea development. Visit, look, hear, learn, eat, imbibe, laugh, discuss, ponder, think, and be amazed at selected venues. Craft and assess ideas throughout the day. D,N,R trains to 36th St.